Nari Kalyan Shangho (NKS) is a charity based in Tollcross Edinburgh, the primary aim of NKS is to alleviate deprivation and isolation experienced by South Asian women and their families living in Edinburgh and to promote positive health and well-being among them. 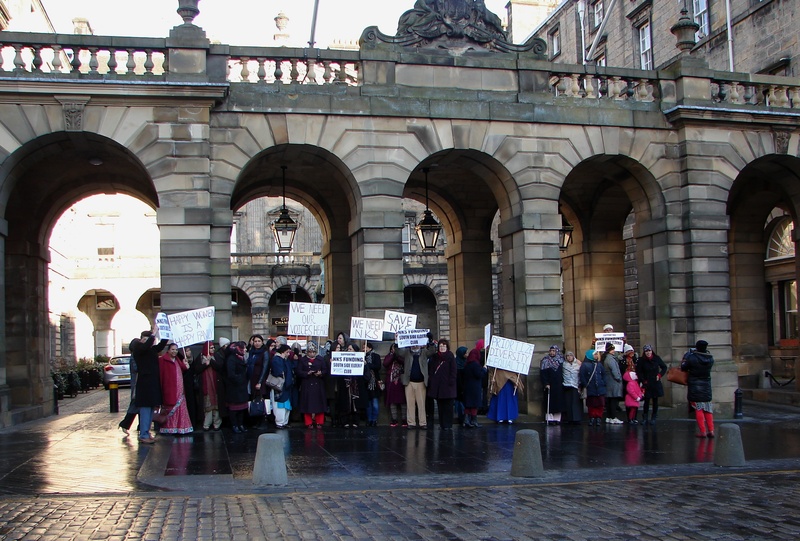 NKS is helping to make South Asian women active citizens living in Scottish society by engaging them in various activities at NKS and by supporting to access mainly mainstream services of interest to them in Edinburgh. Tollcross Community Council wrote to the Education, Children and Families Committee, about our concerns at the abrupt withdrawal of Council funding for NKS. (Full letter here NKS Letter). At the Committee meeting held on 12th February, in spite of severe criticism from Edinburgh Voluntary Organisations’ Council, the Committee unfortunately voted to accept the report and it’s recommendations, meaning that NKS will loose 75% of its core funding which comes mainly from CEC. Both Gavin Corbett and Melaine Main, two local Green Councillors for Tollcross put in an amendment which would have given a right of appeal for groups like NKS which face a dramatic cut in funding. Sadly, the Committee vetoed that. Sadly it is a ‘slap in the face’ for the NKS project. A cut in funding was expected in the current situation but to loose all Council funding for this organisation is totally demoralising for the NKS staff & users. There is still a small chance of some reversal as the Equalities impact assessment has not been carried out correctly, as required for any CEC financial decisions, but the chances of a complete reversal of the funding cuts are slim.